So far, mine has started well. 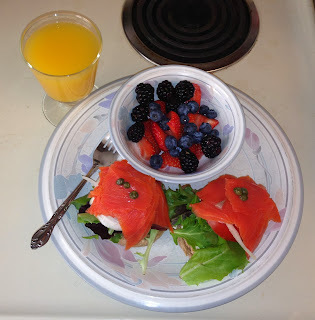 We had salmon on a muffin with cream cheese and capers for our New Year's Day breakfast. Accompanied by a mimosa, of course! Complete the move and get settle in in record time. Continue working toward my de-cluttering and budge goals. Continue working through my stash.